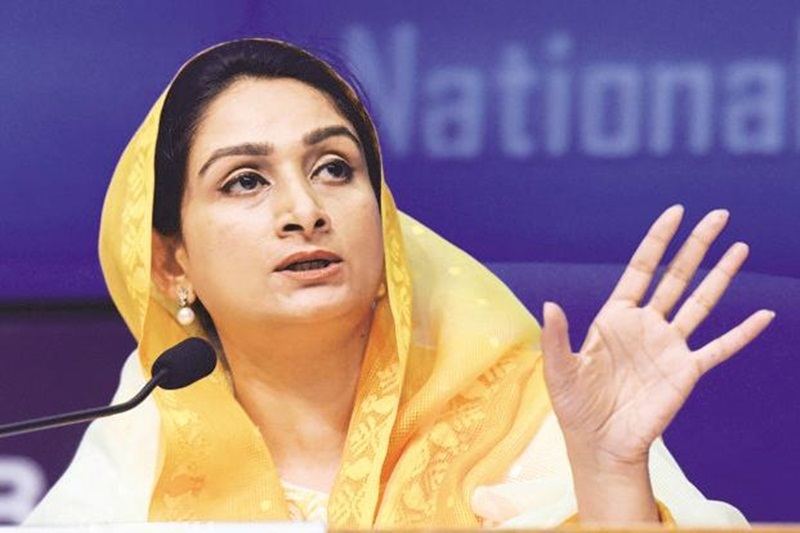 The mistrust between India and Pakistan can be removed through revisiting the message of peace and love, Union Minister Harsimrat Kaur Badal said on Wednesday at the foundation stone laying ceremony for a corridor linking Gurdwara Darbar Sahib in Pakistan’s Kartarpur to Dera Baba Nanak shrine in India’s Gurdaspur district. Prime Minister Imran Khan laid the foundation stone for the corridor to facilitate visa-free movement of Indian Sikh pilgrims from both the sides. Kartarpur Sahib in Pakistan is located across the river Ravi, about four kilometres from the Dera Baba Nanak shrine. It was established by the Sikh Guru in 1522. The first Gurdwara, Gurdwara Kartarpur Sahib, was built here, where Guru Nanak Dev is said to have died. India was represented by Union ministers Harsimrat and Hardeep Singh Puri at the event. Punjab cabinet minister Navjot Singh Sidhu also attended the ceremony. “If the Berlin Wall can fall, then the mistrust between two neighbourly countries, India and Pakistan, can also be removed through revisiting the message of peace and love spread by Guru Nanak,” Harsimrat said. Guru Nanak spent his last years on the other side of the border, just four kilometres away, she said, adding that at times the chanting of devotees can be heard on the Indian side of the border. “Guru Nanak spent 18 years of his life at Kartarpur & spread his message of peace and love. Today is historic not just for the Sikh community, but for the people and the Governments of India and Pakistan,” an emotional Harsimrat said. “We have been so close, but so far for 70 years,” she said. “Scores of Sikhs are on this journey for the first time today. I have no friends, no relatives here (in Pakistan). I never thought I would be here,” she added. “When we laid the foundation stone (for the corridor) in Indian Punjab, I saw the corridor becoming a reality there and now I am seeing it here. Today this corridor will bring everyone together … It will bring joy and peace to both countries. I beseech you … to issue postage stamps or coins to commemorate Guru Nanak,” she said. India proposed the construction of the corridor to Pakistan nearly 20 years back. Last week, Pakistan and India announced that they would develop the corridor on their respective side of the border to help Indian pilgrims visit Gurdwara Darbar Sahib in Kartarpur.